Today's topic is about a hairstylist's path to success. As you all know, I am a license professional hairdresser. 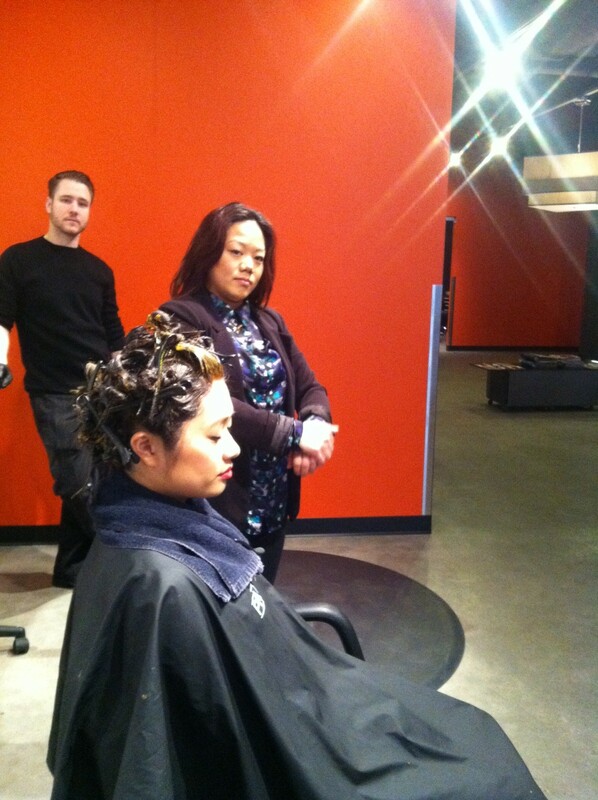 I am a Master Hairstylist and Educator at Moxie Hair Salon in uptown Minneapolis, Minnesota. I am also the Rising Stars Stylist Leader in the uptown location, which mean I mentor our Rising Stars Stylists and educate them on a daily basis. The Rising Stars Stylists are licensed experienced stylist who are going through the Moxie continuing education program and are part of the Moxie Cuts & Style Center. 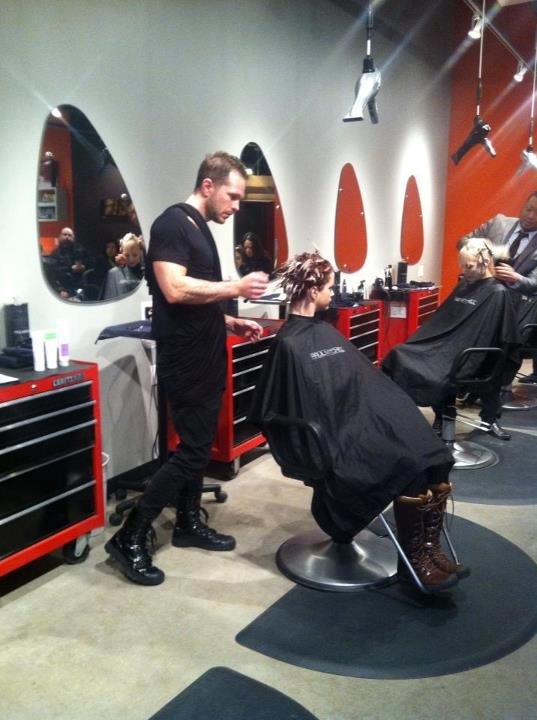 There are two locations, one where I work in uptown Minneapolis and the other salon on Grand Avenue in St. Paul. Both Moxie Hair Salon are owned by Stephen Adams and his business partner of thirteen years John Fearing. 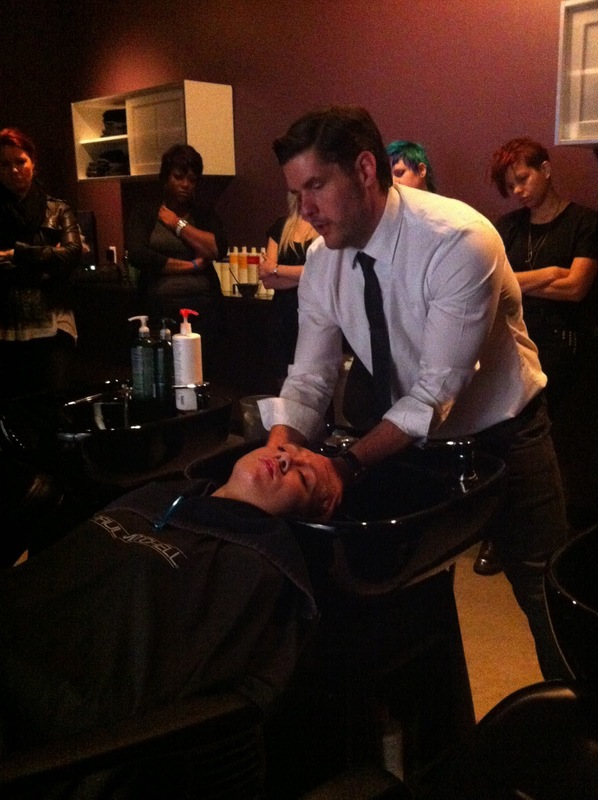 I am going to talk about how continuing education for any hairdressers is a path to great success and to keep you away from boredom. 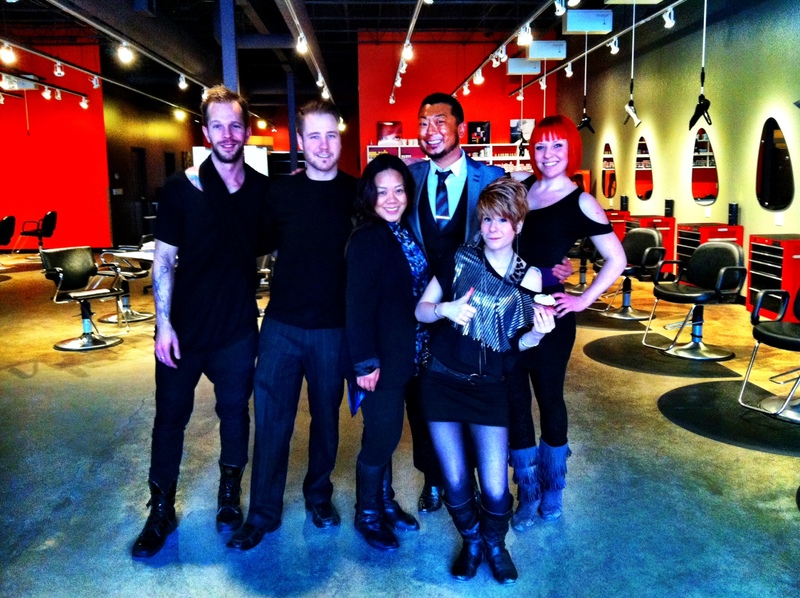 At Moxie Hair Salon, we are devoted to our community and staff. From weekly education to helping out in our community, Moxie is committed to excellence and to making the world a better and more beautiful place. Our mission is to make sure a venture into Moxie is an experience for everyone to enjoy. We will help you relax, get educated and be understood. When you leave Moxie, we want you to feel that a rare expectation has been met. We carry all Paul Mitchell brands such as The Black and White label which which is your normal Paul Mitchell product, the Tea Tree line, Mitch (Paul Mitchell's new men line), and the Awapuhi Wild Ginger line (Paul Mitchell's luxurious line). 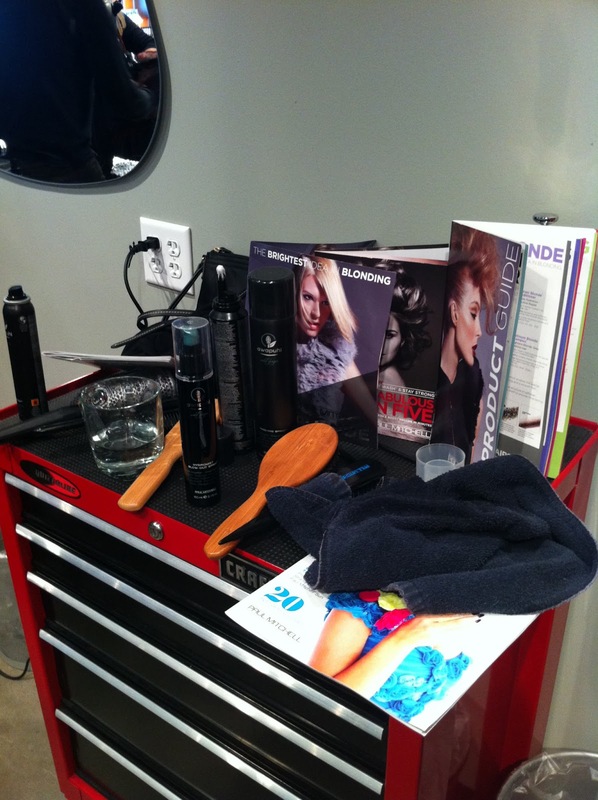 We also carry Arrojo products, which is Nick Arrojo's professional hair line. We are currently the only salon in Minnesota who carry Arrojo at the moment, and it is distributed through the company itself so no product diversion! So what does this mean? Moxie offers great education through Motivational Mania which is one Monday a month at the Grand Avenue location. It's free education when the class is a just a look and learn class, and a class fee for hands-on classes (these classes are only available for licensed professional cosmetologist and cosmetology student). 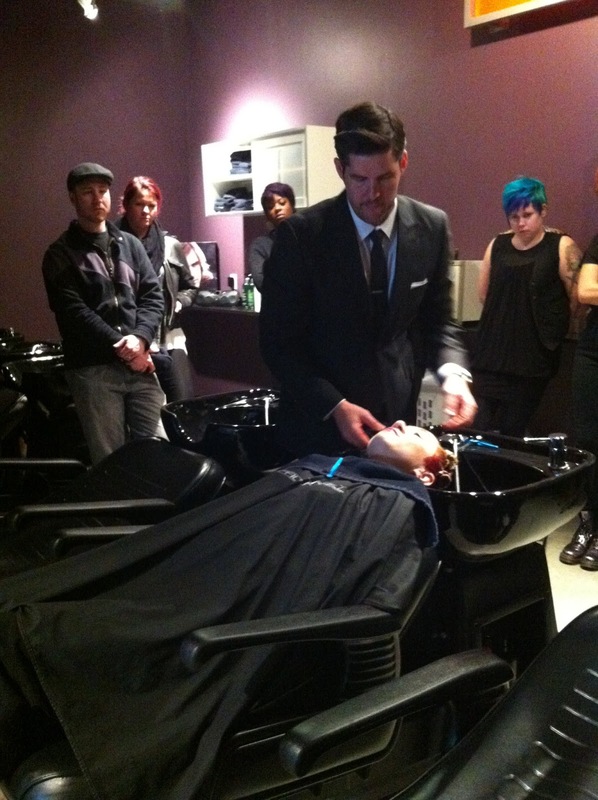 We love to educate our staff, other professionals in the industry, and most importantly our guests. We care, so why not share the love for it! 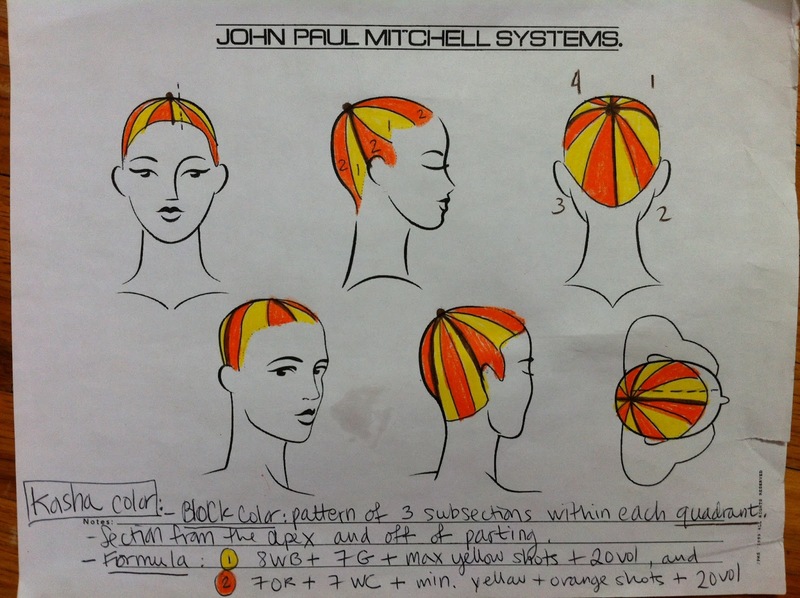 We had a great education last week with one of John Paul Mitchell System's Platform Artist Thomas Cousins, and for this week's education our own Moxie Education Team showed off Spring Trends for a Motivational Mania Look and Learn class. I was part of the Spring Trend class educating for Motivational Mania with my other talented team mates. 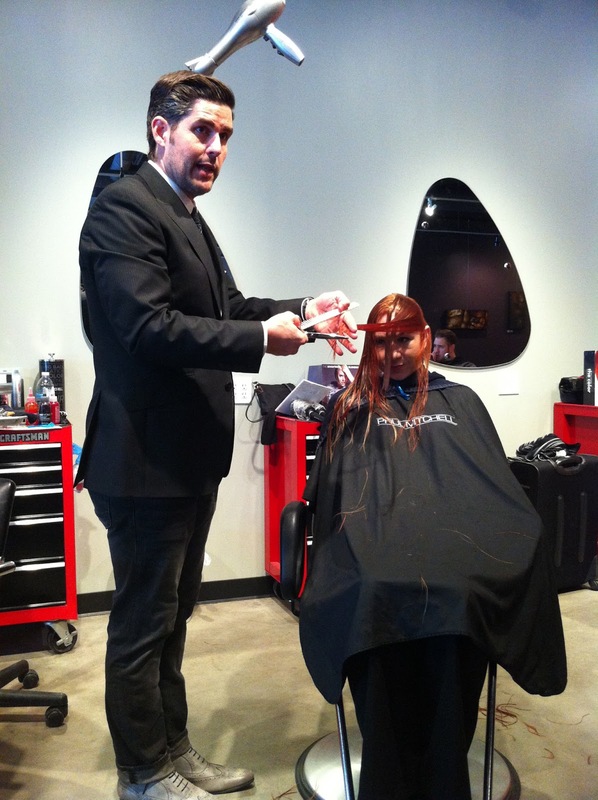 Thomas Cousins, a John Paul Mitchell System National Educator and Platform Artist came in to the salon for a complimentary education class on Tuesday, March 11th. 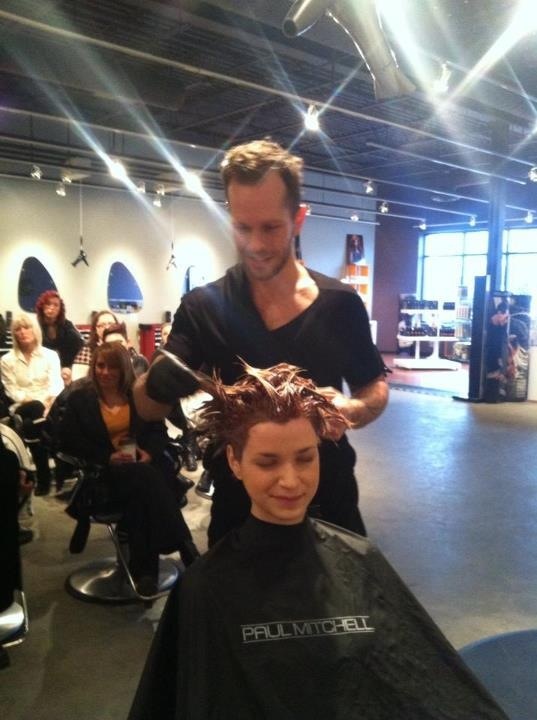 Thomas Cousins resides in Louisiana, where he is a salon owner at A Thomas Cousins Salon in Mandeville, Louisiana. The class consisted of the whole salon experience, and a look and learn of two hair cuts and hair color techniques on two lovely models. 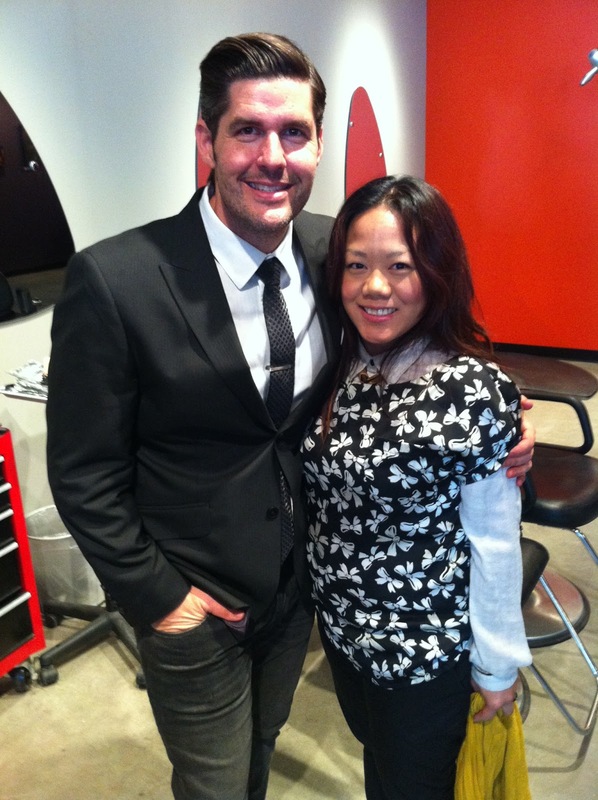 It was called the Confessions of A Paul Mitchell Salon Owner, Thomas Cousins. The great experiences that a guest should expect are the relaxing scalp massages, the hot steamy towels over their face, the blow out and the styling. The salon should also impress the guest by making things different, like creating specific names for different areas of the salon. These areas should have names such as a Color Bar or a Wash House or a Lather Lounge, instead of calling it a color area or a shampoo area. Thomas quoted "You should know your guest's hair, but also know about their happy place. Happy place equals the drama-free salon environment.". 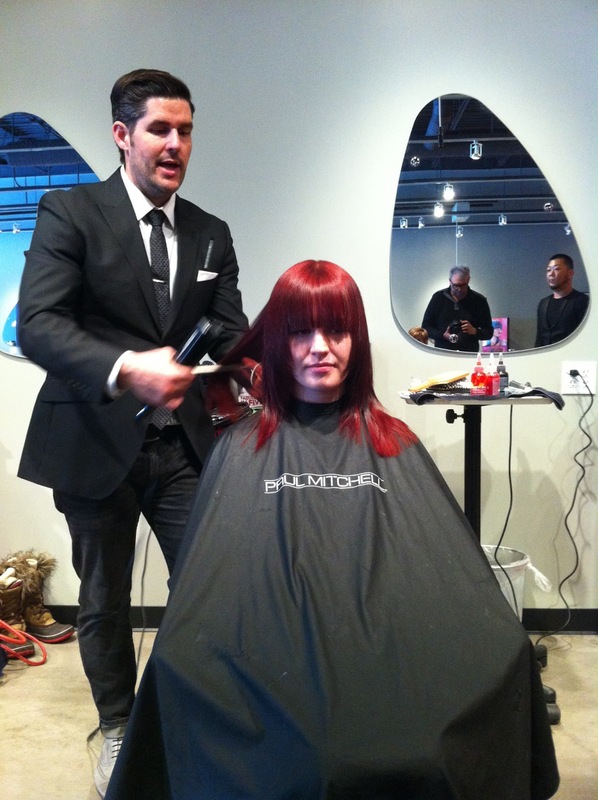 He also quotes "As a hairstylist we give people things they need. We need to be honest and tell our guest that if they want a specific look, they need to come in sooner and maintain their look. Maintaining that specific look should have a guest coming back in as soon as just three weeks. 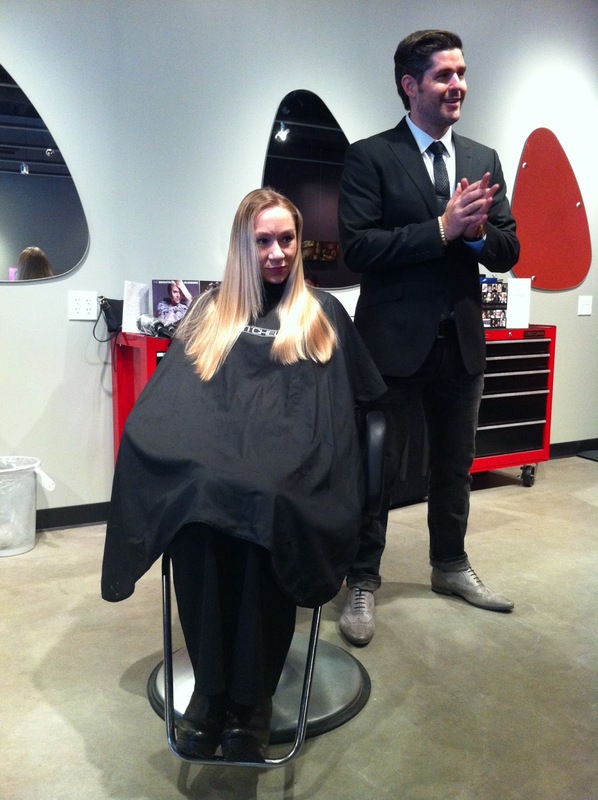 Have an honest truth about your guest's hair and have a commitment talk.". Thomas works along with an apprentice when working with his guests. 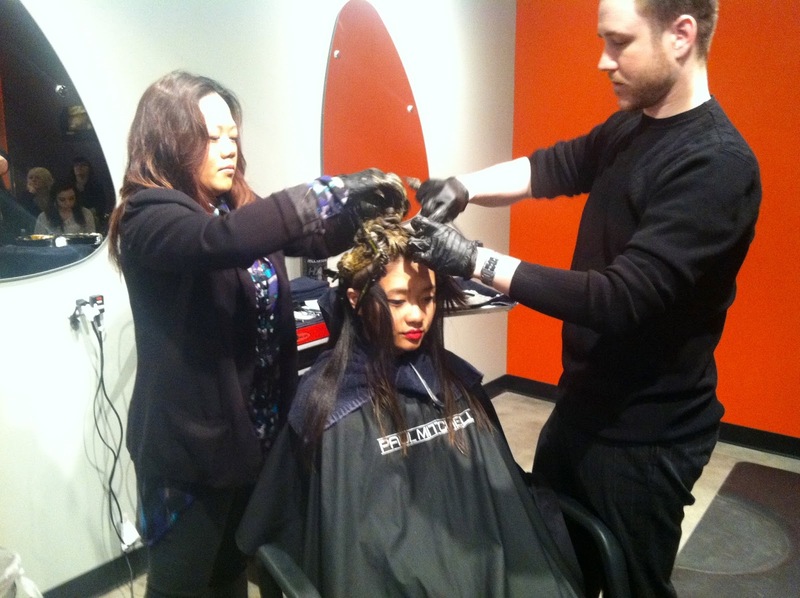 We also have apprentices or assistants at Moxie Hair Salon, we like to call them the experience daymakers. The whole purpose of an experience daymaker working along with a stylist is so that the stylist can work faster, and more efficiently. This class was definitely profitable no matter where you stand in the world of beauty industry. Thomas Cousins was very clear and thorough as he spoke to the crowd. He was very entertaining and I think he kind of looks like Christian Bale :). 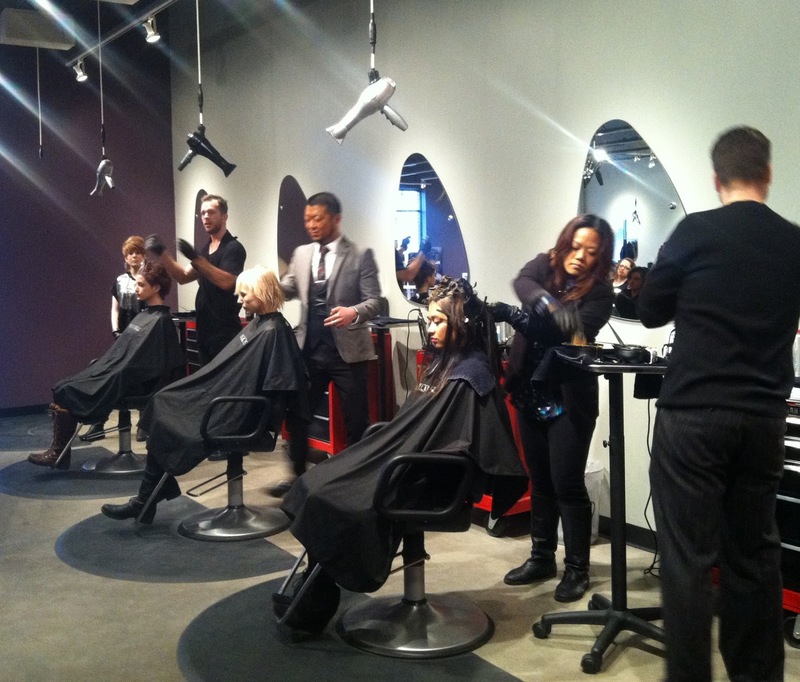 Other stylists outside of Moxie Hair Salon signed up and showed up to this class. Like I said before, why not share the love? Below are images of what when on in class with Thomas Cousins. Mahogany who is a J.P.M.S. 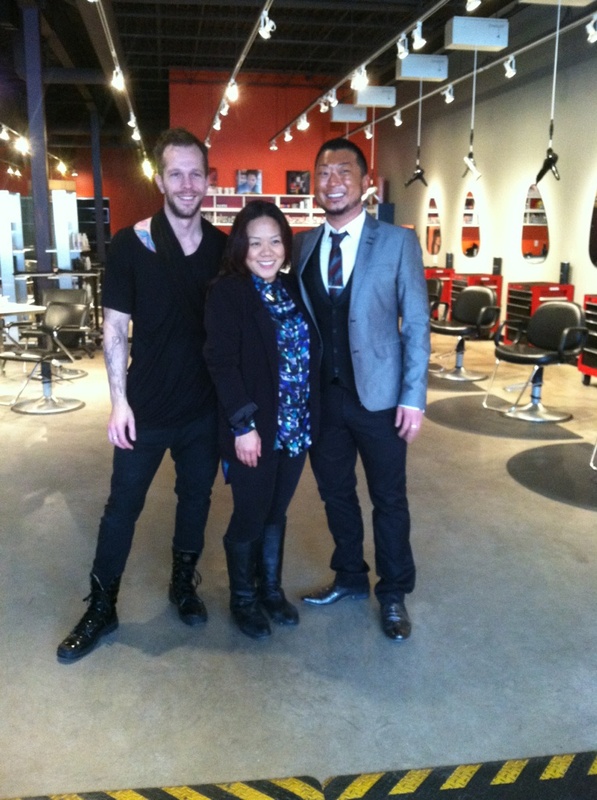 Regional Educator and local hairdresser at the Head to Toe Salon in Minneapolis helped out at this event. 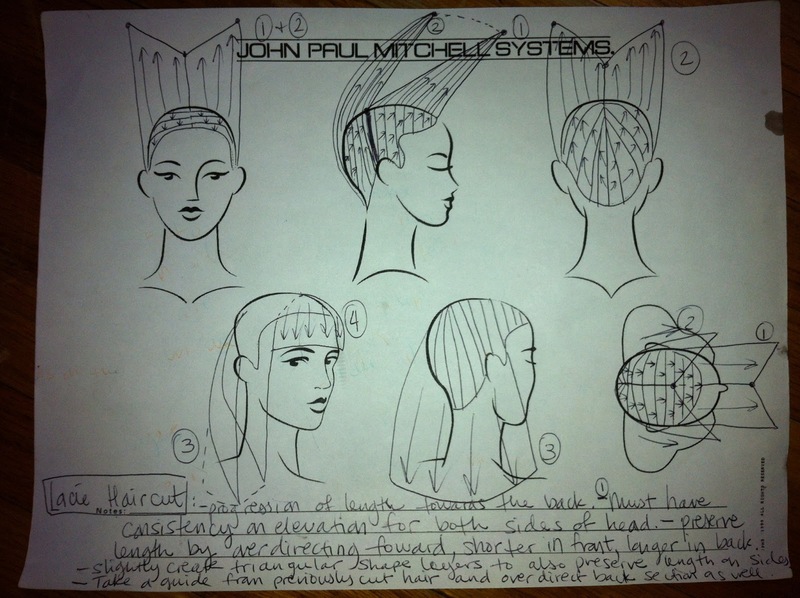 There are images of drawings I drew for the haircut and haircolor patterns, excuse the rough paper - I like to recycle and hold on to paper. 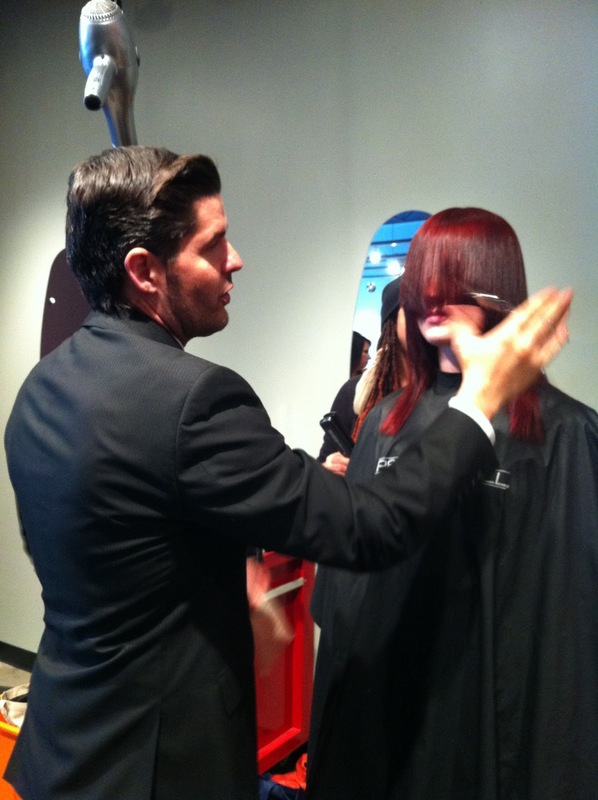 Thomas Cousins and model Kaysha, consulting about her hair color and cut. 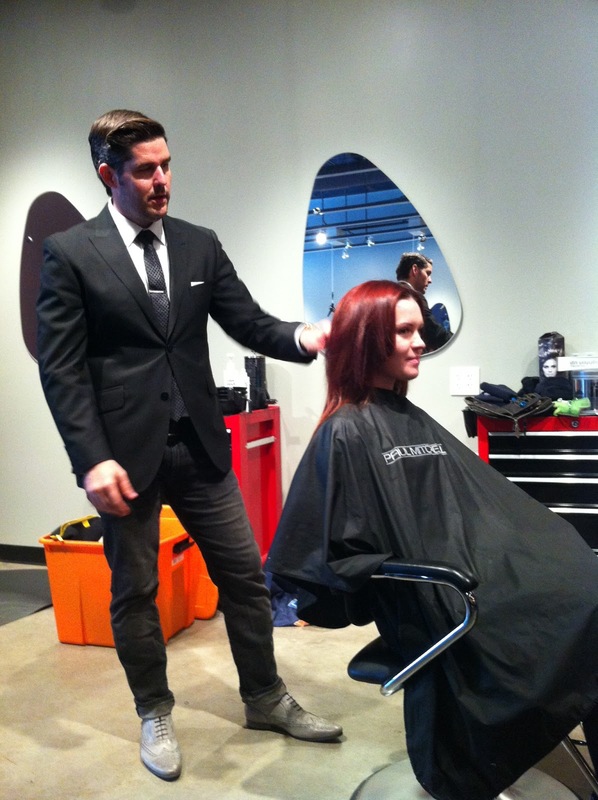 Thomas Cousins sectioning Kaysha's hair color pattern, called a blockcolor. 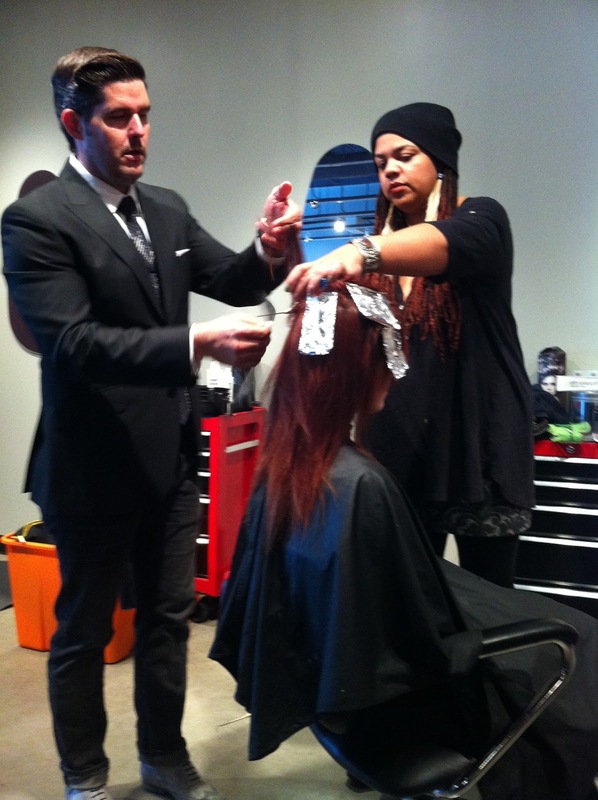 Mahogany helping with the blockcolor application with Thomas Cousins on model Kaysha. Blockcolor pattern for Kaysha's color. Beach ball design. Thomas Cousins and red head model Lacy. Thomas Cousins and Mahogany applying Lacy's foil pattern and technique called the Teasy Highlights or Teasy Lights, every foil is a sliced subsection teased before applying the color so it looks softer. 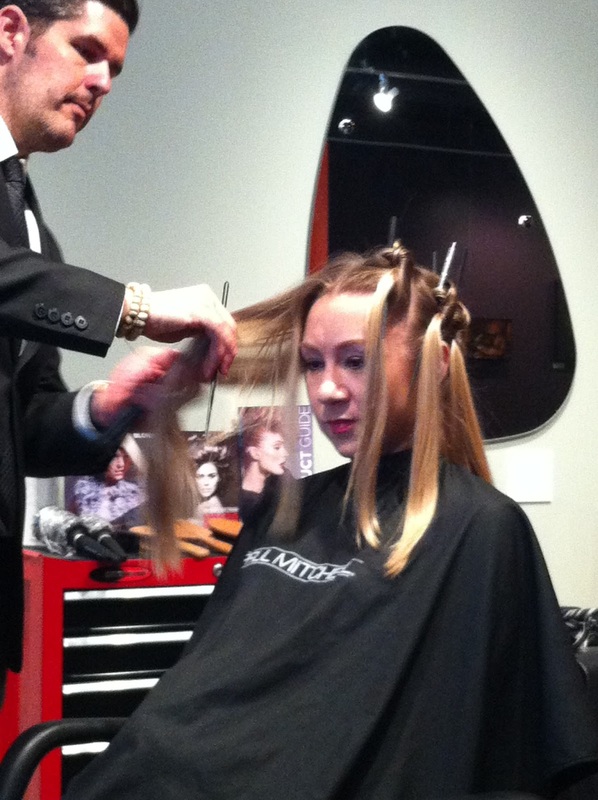 Lacy's color pattern for her Teasy Highlights. Thomas Cousins showing off his lather skills in the Wash House. Thomas Cousins working it the right way. 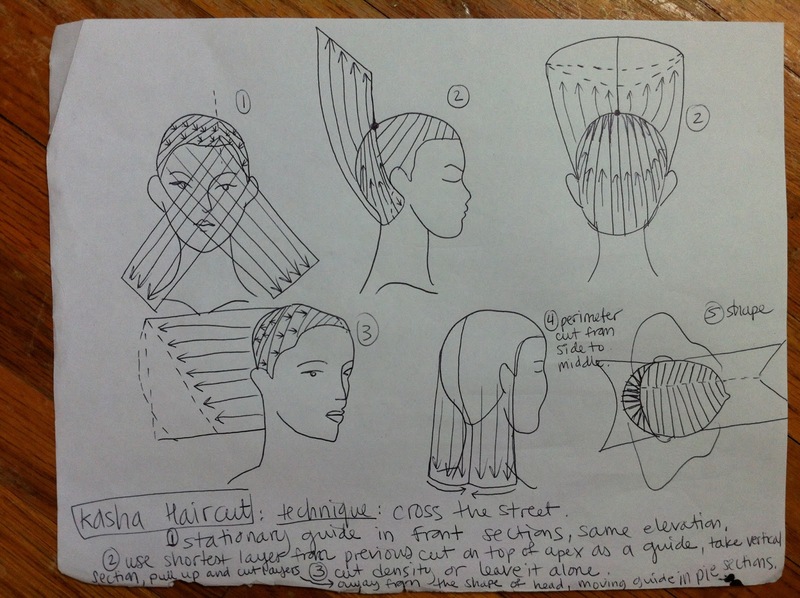 Kaysha's haircut pattern for Crossing the Street technique. Thomas Cousins cutting fringes on Lacy. 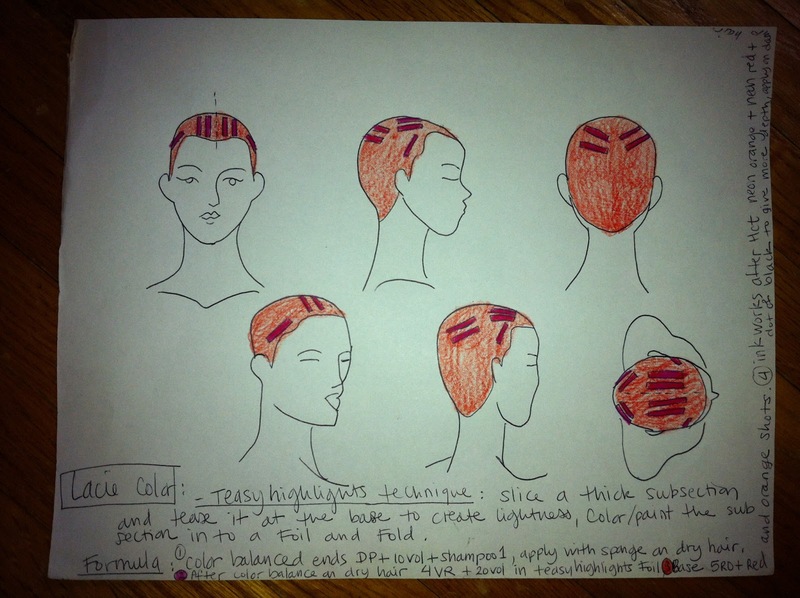 Lacy's haircut pattern, a lot of over directing to a stationary guide to preserve length. Lacy's beautiful red hair color. Thomas Cousins polishing Lacy's hair. 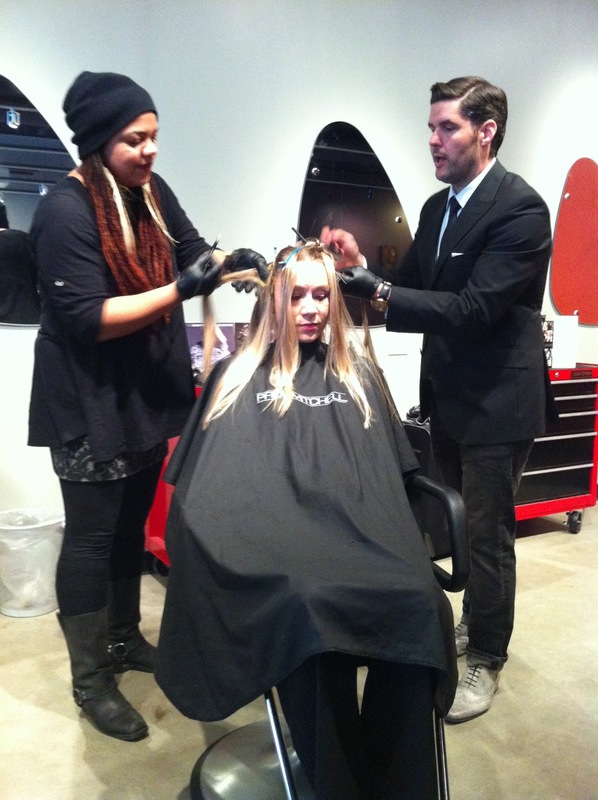 The (great) mess Thomas Cousins made at Moxie Hair Salon. Thomas Cousins with his beautiful models Kaysha and Lacy. I had to do this, take a picture with Thomas Cousins. Our awesome look and learn class Spring Trends for Motivational Mania on Monday, March 11th. 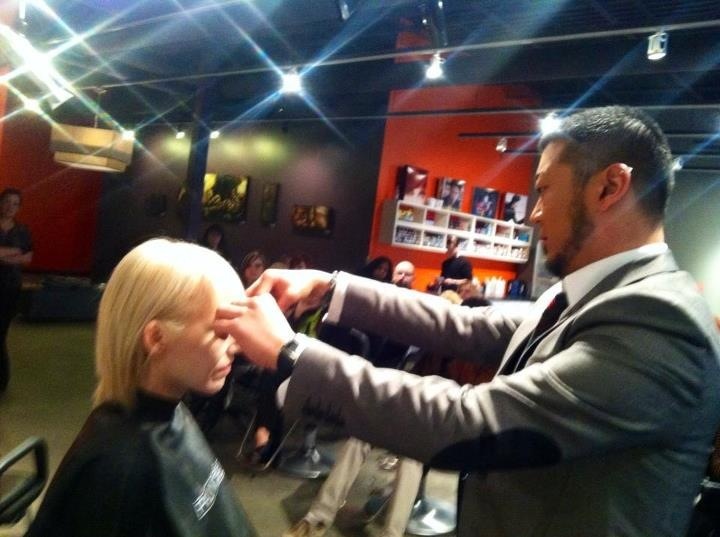 Brentt Flammang (Executive Stylist at Grand Ave. location, Moxie Educator and Arrojo Salon Ambassador Educator), Matty Pettitt (Director Stylist, Moxie Educator and Salon Stylist Leader), and I each demonstrated a hair cut and color technique on live models. We came up with looks and trends for srpring that will lighten up the guest's mood and look, and give other hairdresser professionals a fresh look into the upcoming season. 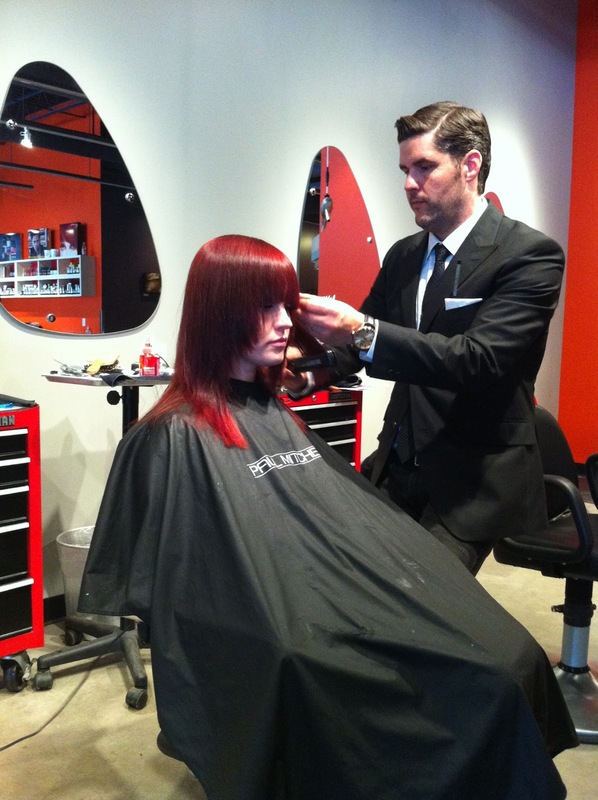 If you are a licensed cosmetologist or cosmetology student, you can sign up for these classes on the Moxie Hair Salon website www.moxiesalon.com. The look and learn classes are free to attend, we prefer a head count for this type of class. The hands-on class is $125 for a licensed cosmetologist and only $50 for cosmetology student limited to 10-12 attendants. Students are basically paying for there mannequins. During the hands-on class you are provided a mannequin head which you keep, and borrowed a tripod. 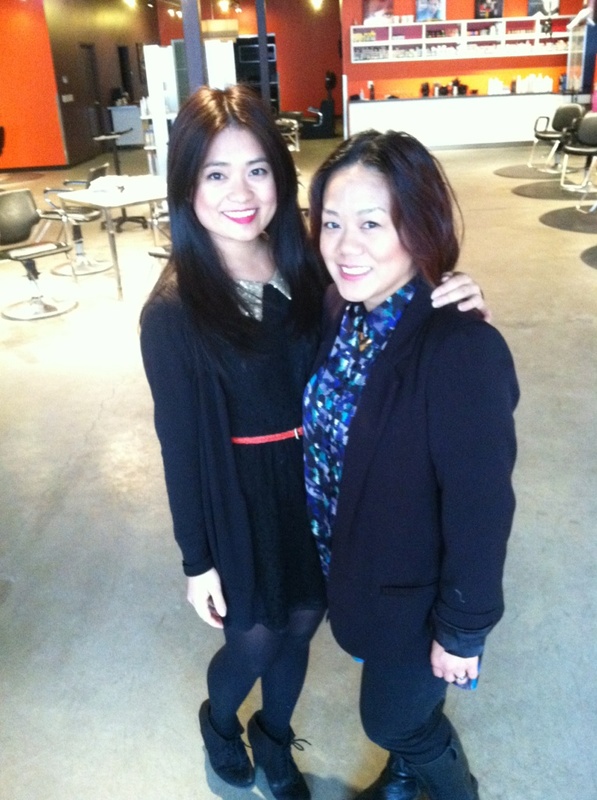 For the Spring Trends look and learn class, we had a few of the staff assist and helped us during class. 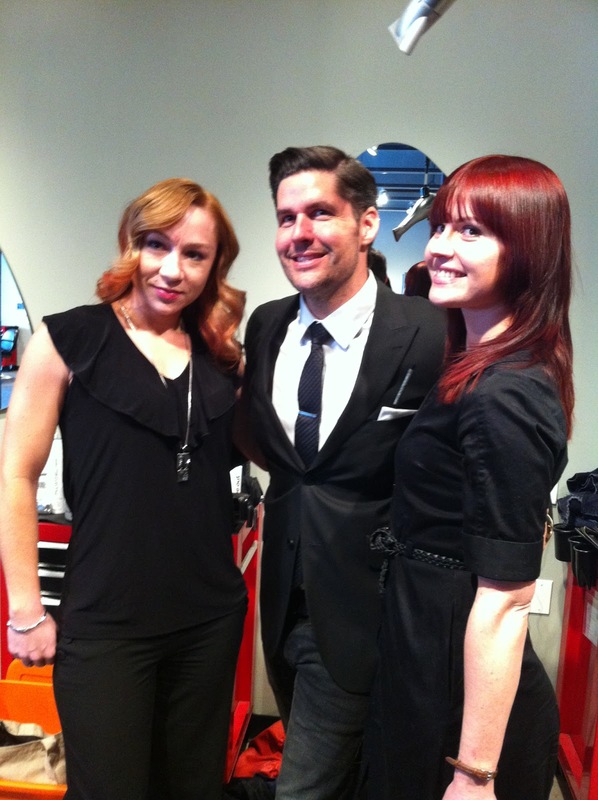 These awesome people are Claire Lloyd (Experience Daymaker), Megan C. (Experience Daymaker), and Joey Jones (Master Stylist, Moxie Educator and Uptown Salon Stylist Leader). Class went as planed because these guys made it happen for us, thank you! Below are images of our Spring Trends look and learn class at Motivational Monday. Moxie Education Team doing what we love to do, educating. Brentt applying his ombre color technique on his model. Me and Joey applying my blockcolor techniques of warm and cool tones on my model Marlena. The works. 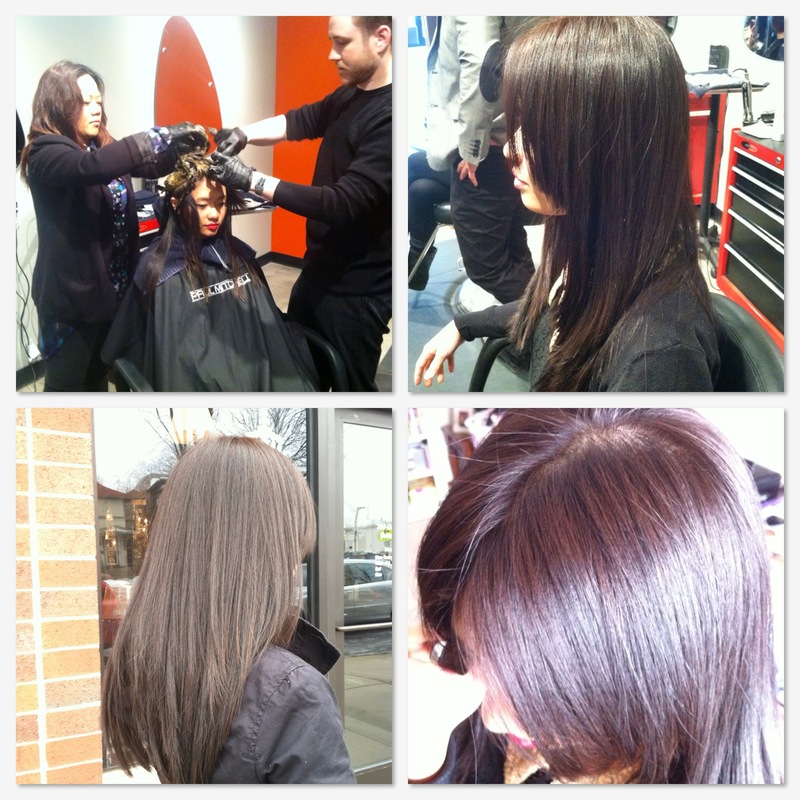 Cut and color by Marina Moua, two dimensional blockcolor technique and long layering cut. Matty cutting fringe on his model. I believe I was just checking my watch. My finished application. Brentt checking his ombre technique. 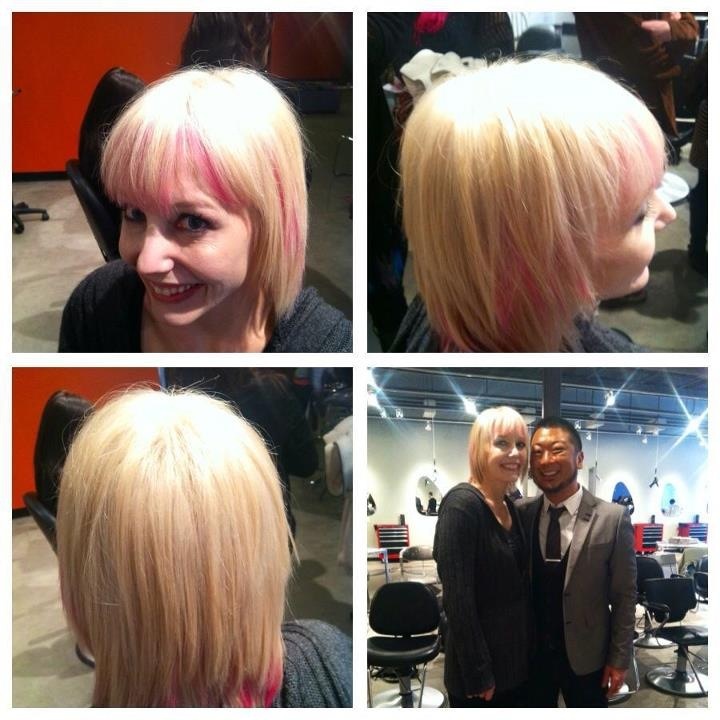 Matty and his model, with Pink Inkworks using ink burning technique pressed into the hair. The team, Brentt, Joey, me, Matty, Megan, and Claire. me and my lovely model Marlena.